1010* is a captivating puzzle game for Windows 8 users, which is available for free. 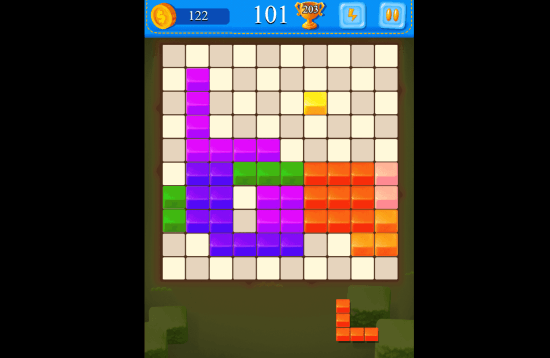 It is quite different from other puzzle games, and is really easy to understand and play. To play the game, you have to drop boxes of different shapes into the grid. Once you create a full line horizontally or vertically with the help of boxes, it gets destroyed. For every line destroyed, you are awarded with points. The boxes appear at the bottom of the grid in random shapes and manner. All you got to do is, drag those boxes and drop them into the grid. Change Figures: Pay 50 coins to exchange a box with another box on the grid. Clear One Field: Pay 20 coins to clear a set of box. Clear Type: Pay 70 coins to clear all boxes of same type. Clear Area: Pay 100 coins to clear the grid completely, and start fresh with the existing score. The above options can be used at the end of the game, or at any instant of time during the game. Press the button which is right next to the Pause button to view these options. Apart from using the coins to revive game, you can also use these coin to upgrade the boxes. Go to the home screen of the game, and access the shopping option. You will find 4 sets of blocks available there. One of the sets is already available to play with. The rest three sets are of different designs and textures. You can buy these set for 100 coins each. Buy any set to select it, and start playing. 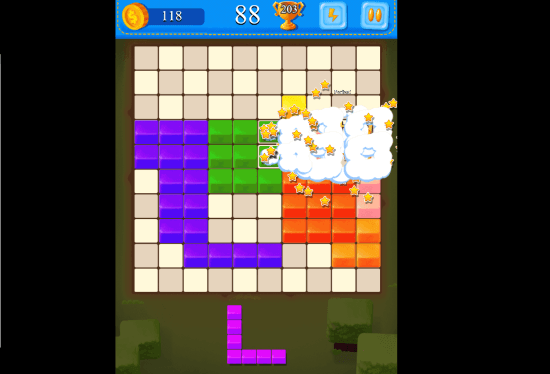 You can also check out some other puzzle game apps reviewed by us like Blocked in and Crack Attack. 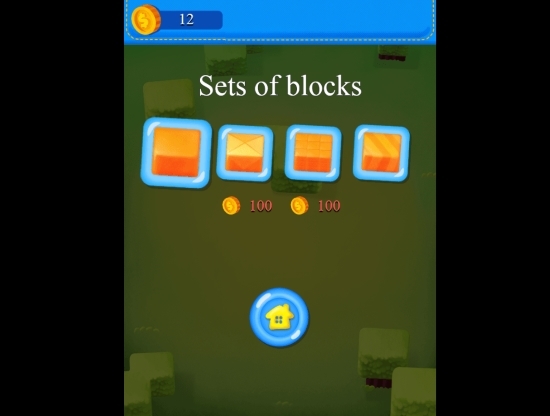 This app plays a soft music in the background during the gameplay. To mute the music, click on the pause button, and simply hit the loudspeaker icon. The high score is flashed right next to the current score. Every time a high scored is achieved, it replaces the old one, and is flashed on the interface.